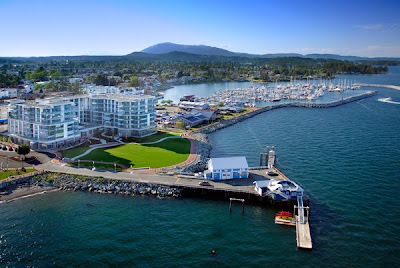 At Vancouver Island's Sidney Pier Hotel & Spa, enjoy a New Summer Attractions package, Marine - Themed Spa Treatments and a 100 per cent Ocean Wise culinary commitment. The much anticipated Shaw Ocean Discovery Centre, adjacent to the Sidney Pier Hotel & Spa, has opened its doors to the public offering a state-of-the-art aquarium and marine education centre focusing on the ecosystem of the Salish Sea. To celebrate the exciting new venture The Sidney Pier Hotel is demonstrating its commitment to local waters and local businesses. The property has joined forces with the new marine development as well as other Saanich Peninsula favourites to offer a Summer Attractions Package . For $299 per couple spend the night in a Classic Room, visit the world-famous Butchart Gardens and Butterfly Gardens, enjoy a tasting at Sea Cider Farm & Cider House, and be amongst the first to experience the wonders of the Salish Sea at the Shaw Ocean Discovery Centre. Reservations can be made by calling 1.866.659.9445. The Haven Spa is offering guests the opportunity to experience the relaxing and healing powers of our oceans with one of three marine-inspired treatments. Each uses a combination of Ancient Secrets products including Green Tea Seaweed Salt Glow, Seaweed Body Butter, Sea Water Mineral Mist or the Seaweed Firming Mask. Choose from the Marine Manicure, 60-minutes for $75; Pacific Coast Pedicure, 70-minutes for $95; or the Pacific Seaweed Body Firming Wrap, 60-minutes for $125. Your spa treatment at Haven their 3,250 square-foot-spa, salon and fitness centre - includes an optional workout in our ocean view Fitness Centre as well as access to the Eucalyptus steam room and peaceful Spa Sanctuary. Call 250.655.9797 to book your treatments today. 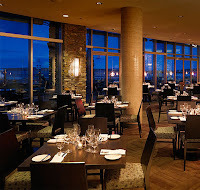 Partnering with the Shaw Ocean Discovery Centre, Haro's Restaurant + Bar demonstrates their 100 per cent Ocean Wise commitment with a dinner featuring the wines of Gray Monk Estate Winery on Thursday, June 25. Guests will enjoy bubbles and canapés in the new Ocean Discovery Center followed by a multi-course oceanfront dinner in Haro's. Local and sustainable is the focal point of the evening, and guests will enjoy mingling with Julia and Susan Grace of Moonstruck Cheese; Mike McDermid, Ocean Wise program manager from the Vancouver Aquarium; and Angus Matthews, executive director of the Shaw Ocean Discovery Centre. Tickets are $95 per person (excluding tax & gratuity). Call 250.655.9700 to make reservations.